30% reduction in annual energy costs compared to an ASHRAE 90.1-1999 baseline. 42% reduction of water use compared to an Energy Policy Act of 1992 baseline. 95% of the total percentage of construction waste was diverted from landfills. 100% reduciton in potable water use for irrigation. The Arnold Arboretum, owned by Harvard University since 1922, has developed a Research and Administration Building on what is known as “Weld Hill” in Boston, MA. The project is the new construction of a 45,000 square foot, two‐story building on a small portion of a 14.2 acre parcel. The building includes office space, research/laboratory rooms, lab support rooms, plant growth chambers, conference rooms, and twelve greenhouses. The state‐of‐the‐art greenhouse and laboratory facility is intended to strengthen Harvard and the Arboretum’s botanical research capabilities. The building houses 48 researchers and assistants, in addition to staff in administrative offices. The parcel is bounded by Weld Street, Walter Street, and Centre Street in the Jamaica Plain neighborhood – access to and egress from the site is via Centre Street. The project team worked to minimize the impact of the project on the land and the surrounding neighborhood both during construction and at occupancy. 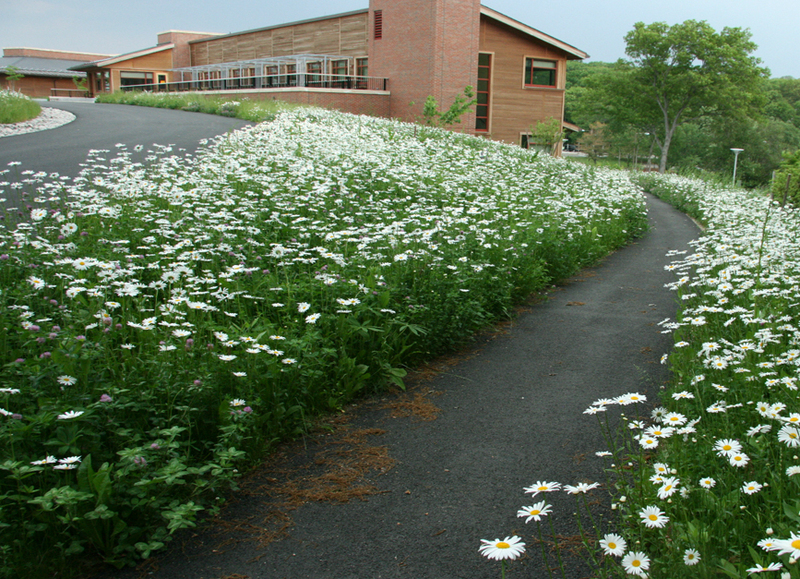 After construction, the site was restored to its original landscape of meadow and trees for neighbors to use and enjoy. Overarching goals and priorities for the project included creating a healthy and productive workspace that minimizes environmental impacts and maximizes energy‐efficiency. Weld Hill achieved LEED-NC v2.1 Gold certification.